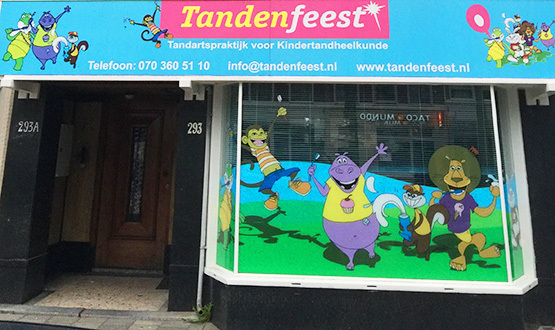 Tandenfeest is dental practice that is dedicated for children. We treat only children and as such we know our job very well and we have lots of experience. Bringing your child to the dentist, also when no pain exists, can be very helpful because cavities can exist without pain! Milk teeth should be treated also, because milk teeth finish their natural exofoliation until the age of 13 years old. We will do a control and inform you about the findings. We will let you know if you or your child brushes the teeth properly and we will show you where you need to pay more attention in order to protect the teeth. If you have a dutch health insurance almost all the treatments are covered for the child (until the age of 18 years old) and no extra payments should be done by you.